"It was the way down from the Col de Portillon that saw Chris Froome in derring-do mode in 2016, when he stole 13 seconds on his rivals at the finish in Bagneres-de-Luchon. The peloton will be wise to a similar move this time around..."
It's a long way for a mountain stage, at 218km, and there are five categorised climbs, with the three big ones all coming in the last 70km. The ascents are probably of less interest than the descents, though. The last three summits all need getting off, and, in every case, the road down is twisting and complex. 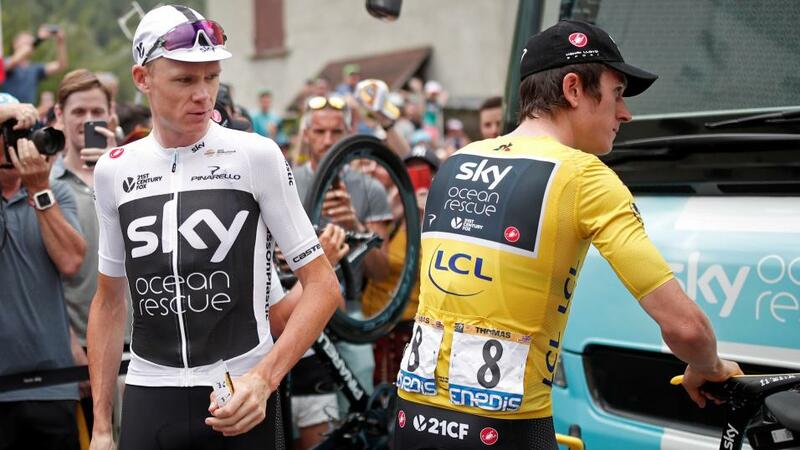 It was the last of them, the way down from the Col de Portillon, that saw Chris Froome in derring-do mode in 2016, when he stole 13 seconds on his rivals at the finish in Bagneres-de-Luchon. The peloton will be wise to a similar move this time around. That descent also sees the race briefly enter Spain, so be aware of local riders wanting to show their best. Another very open stage, but Adam Yates is probably the slight favourite at around [10.00]. He's out of General Classification contention in 30th-place, so will be given the freedom to attack by the peloton, has been relatively quiet to date, and is both excellent on the climbs and the descents. It would be no surprise to see him winning this , but then I'm not sure I would want to take such short odds when the same favourable arguments can be made about a number of riders. Those riders include the likes of Julian Alaphilippe ([13.00]) and Warren Barguil ([16.00]), who have been ever-present in break-aways as they try to secure King of the Mountains points, and Thomas de Gendt ([60.00]), who has been showing more of himself in recent days, although seeming short of his best form. Rafal Majka ([15.00]) had a go on Stage 15, to no avail, and will presumably be going all-in on one of the three remaining mountain stages. As for the other likely mountain-stagers - Primoz Roglic, Romain Bardet, Steven Kruijswijk and Nairo Quintana - they will all suffer from being too high up in the competition for the Yellow Jersey. Team Sky just won't let them go. It's hardly original, but Chris Froome ([22.00]) might be the best bet for this stage. The race enters his territory now: it's the third week of a Grand Tour and he is arguably the best descender in the pro-peloton. His rivals will be wary of a 2016-esque move at the crest of the final climb, but who's to say he won't go for broke on one of the earlier peaks? He showed on Stage 19 of the Giro that he isn't afraid to go from a long-way out, and with Team Sky having Geraint Thomas in the Yellow Jersey, would anyone be prepared to chase Froome? I'll split my stake between Froome and Majka. I won't add to the gallons of ink spilled about who Team Sky's leader is: feel free to go and watch the rest day interviews and make up your own mind as to the truth behind the carefully-crafted public-relations message parroted in unison from Thomas' and Froome's mouths. Unless you have an inside line to the team, it will be hard to know for sure. An alternative approach to trying to work it all out, though, is to ignore the team dynamic completely. Imagine they were riders on separate teams. Who would you be backing: a talented rider who, although clearly better prepared than ever for a Grand Tour, has never lasted the distance; or a six-time Grand Tour winner? At [2.92], Froome looks the value for overall race glory, and I wouldn't be surprised to see him start his comeback on Stage 16.